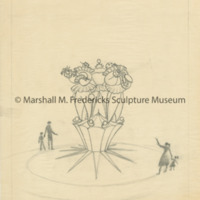 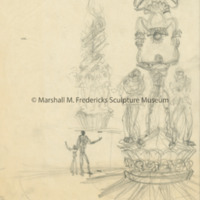 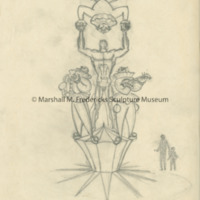 Sketch of metal and glass clown for unidentified project, possibly unrealized. 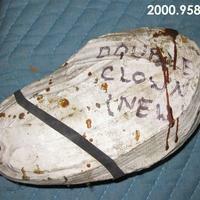 Plaster and rubber mold, written on mold is "Double Clown new". 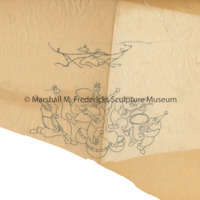 Bound together with rubber strap. 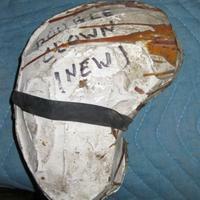 Plaster and rubber mold ,written on mold is "Double Clown new". 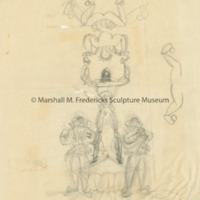 Bound together with rubber strap. 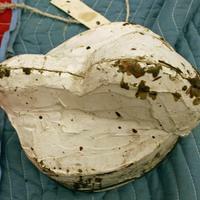 Two piece plaster mold with rubber inner mold and wax core. 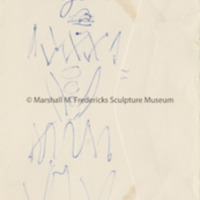 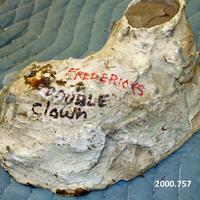 Plaster and rubber mold with "Fredericks Double Clown" written on mold.